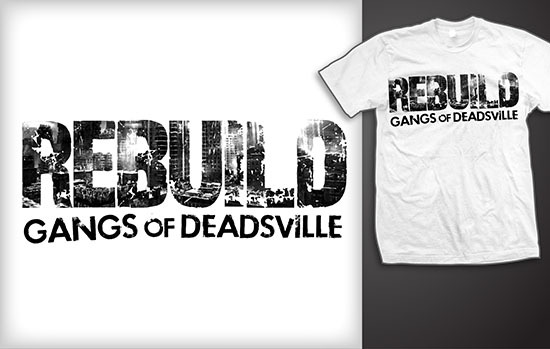 I’m making t-shirts for the Rebuild: Gangs of Deadsville Kickstarter. 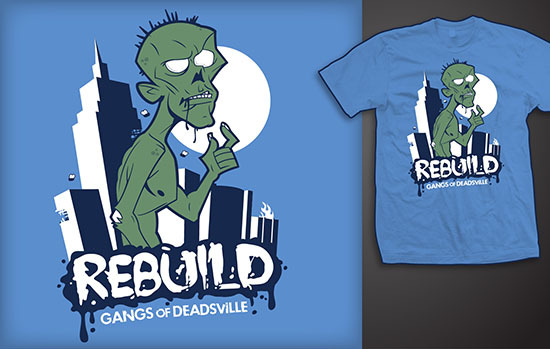 Backers who pledged at the $75 level and up will get to vote on one of these five rather nifty shirt designs by Adam Meyer. 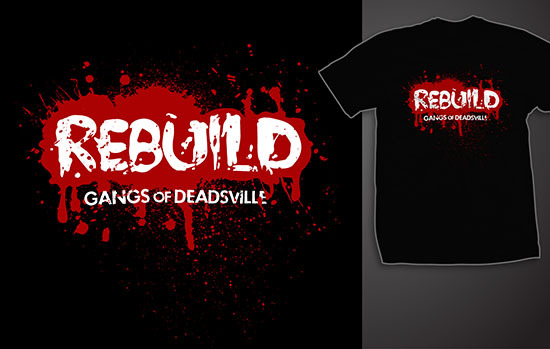 Colin and I may be showing at the PAX East Indie Megabooth next April, so whichever shirt we decide on, I’m ordering extra. 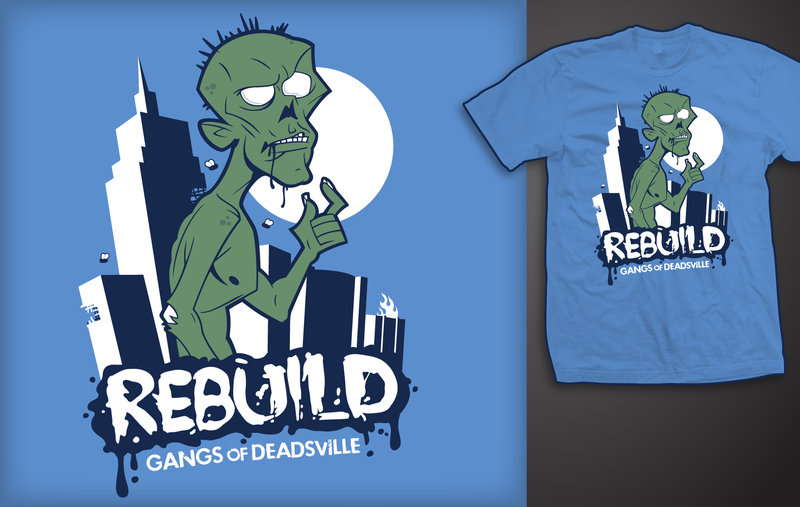 If not a $75 backer but you’re dying to get one of these shirts, let me know in the comments and I may set up a store to sell them if there’s enough interest. 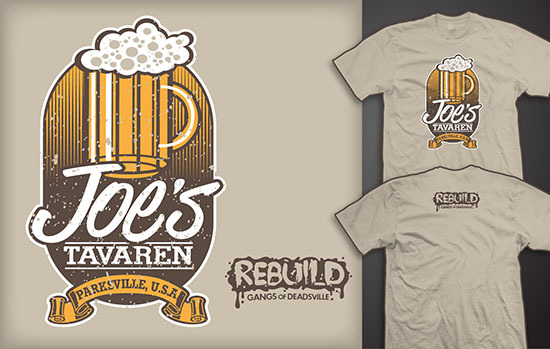 I really like all of these shirts, I definitely would buy The Chosen Ones, and the Joe’s Tavern ones if they became available. 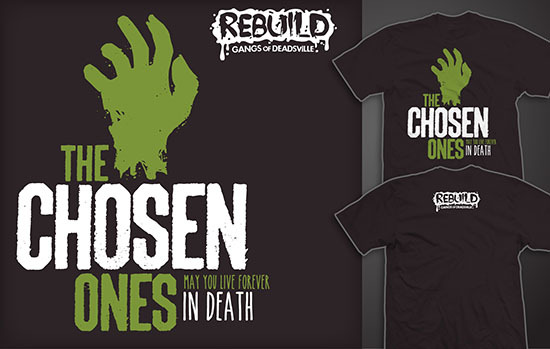 I -really- want the Chosen Ones shirt, but I wasn’t able to back the project at the time. I’d totally buy one.